So, you’ve suffered a bump, a dent, a ding, or a scratch. It might put you in a bad mood, but is it enough to make you worried? If most people come away from an accident with only superficial damage, they might count themselves lucky. However, the truth is that damage isn’t always as superficial as it looks. Here are some reasons that you should always have a little crack or dent inspected by a mechanic you trust. What’s happening under the surface? 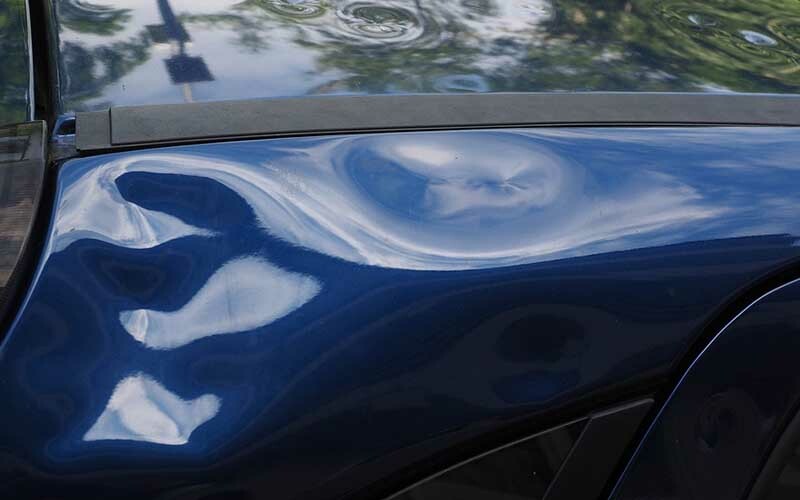 If the dent was caused by a considerable amount of force, then the damage on the surface may not be the only damage sustained. There might be underlying damage to the chassis or internal components of the car that could be much more serious. The auto foam beneath the surface might break due to a dent, and it has more functions than you might think. Without it, your car can produce a lot more noise and vibration. It also keeps water and road chemicals from infiltrating the car and cause more serious corrosion damage. There are many drivers who aren’t even aware that there’s auto foam in their car, so just imagine the other kinds of internal damage that you might not be fully aware of. When it comes glass, it is never worth taking a chance, not even for a short while. Windshields will crack from time to time, whether due to an accident or because something suitably hard hit it with a great deal of force. You want to make sure you have it looked at to see whether the damage is only on the outer layer, which will require only a repair, or if it has penetrated the inner layer which will necessitate a windshield replacement. Every road bump or unexpected jolt can cause cracks to grow larger and penetrate deeper, leading to the chance that your windshield will collapse. As it plays a vital role in driver safety, don’t let that risk remain. If a dent or a scratch breaks through the surface of your paint and exposes any part of the metal beneath, then you could soon have a serious problem on your hands. Cars are weatherproofed, but it doesn’t mean that they’re completely impervious to the cold, moisture, or roadside chemicals if that protective layer is broken. While you’re on a wintry road trip, moisture and chemicals could be causing corrosion beneath the surface. The longer it is left to spread, the more expensive the repairs will be. If you let it go on too long, repairs might no longer even be possible. As soon as something breaks the surface of the car and exposes metal, it’s time for a fix. Sometimes, dents and dings are just as superficial as they look. Even then, you want to get rid of them as soon as possible. Besides affecting the resale value of the vehicle, another shock in future could exacerbate the damage, leading to real danger. It’s not worth taking the risk.